Ms. Lee passed the Korean Patent Bar examination in 2006. 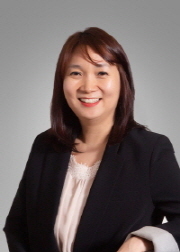 She has assisted both domestic and foreign clients in regard to all phases of trademark proceedings at the KIPO and the Patent Court and has also negotiated disputes concerning intellectual property rights. Ms. Lee obtained a BS (1996) in Library and Information Science from Chung-Ang University, a LL.M (2012) from Yonsei University, and a LL.M (2016) from Beijing Foreign Studies University. She has extensive experience in trademark prosecution, litigation and dispute resolution. She regularly advises clients on issues related to plan business relating to all aspects of trademark laws.